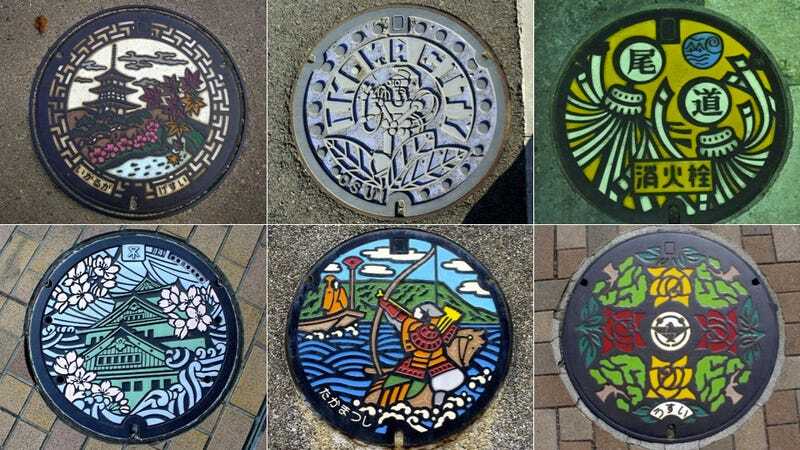 Japanese manholes aren't just lids for sewage systems. They are works of art. Since the 1980s, towns started using local motifs for their manholes. In 95 percent of the country's municipalities, you can find unique manholes with different designs that will no doubt delight drainspotters everywhere. The manhole covers are forged in Nagashima, where there is a central library of every manhole's master plate. To get that vibrant look, the manholes are also colored with a tree resin that is poured into the grooved surface. Check out Drainspotting for more.